"A rich, tasty adult beverage that is as nice as a warm hug on a cold day. 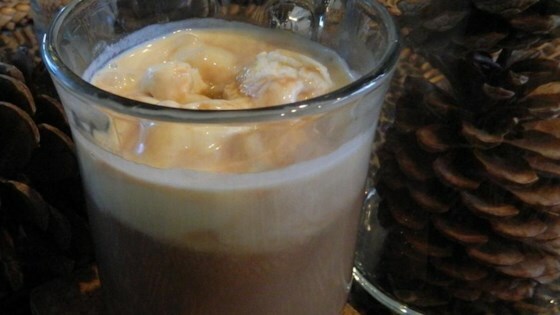 Whipped cream and chocolate shavings are optional but make this beverage a nice tasty after dinner drink or for anytime you feel like a warm hug." Combine hot chocolate Irish cream liqueur, and creme de cacao in a coffee glass or mug. As soon as I saw this recipe I made it. Sipping on it as I write. Delish! Thanks ellie for a wonderful winter drink! Awesome idea! Used your ingredients and topped the hot chocolate with a scoop of vanilla bean ice cream. Absolutely decadent! Thanks so much for sharing this wonderful winter cocktail!